In this episode, I sit down with the boys from The Experience YouTube channel Jason Price, Dan Catlin of the Wildlife Gallery, and Dallas Heyemer to chat about the crazy year they had traveling around the world. From Tajikistan for Marco Polo to Canada for Big Horns and Stones, and even Dallas’ Epic Mountain Goat hunt which is one of my favorite videos they did this year you gotta go check it out. We also bust Dallas’ balls a little but I promise it is all in good fun and no one actually got a tramp stamp tattoo, although for the record I would definitely get a tramp stamp tat for a sheep hunt. That’s probably out of context right here but it will make sense when you listen to the episode. Leave a comment if you would get a tramp stamp for a sheep hunt and we will pick someone to send a free TRO hat. Big thanks to the show sponsors today goHUNT.com Just this week I have had multiple emails asking how to get started applying out of state. How do you get started? 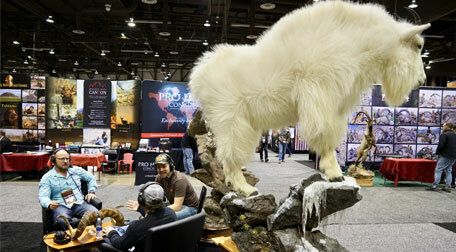 First off bite the bullet and spend the $150 on a go hunt membership. If you want to hunt more elk or more deer this is a solid investment trust me. I always say buy tags, not gear this falls into the tags category. You don’t need a fancy pack in you don’t have an elk to put in it. This is the best place to get started and it has tons of info on how to apply, when to apply by, not to mention the easiest and fastest way to find where to actually put that dart on the map and start hunting. Go sign up if you’re not a member yet I do now because the longer you wait for more draw deadlines that go by. 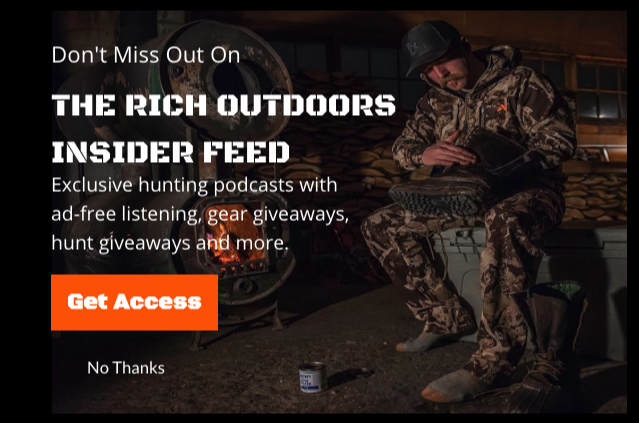 Use The Rich Outdoors Promo Code TRO when you sign up to help keep this mic on and you will get $50 credit to the gear shop. Also a huge thank you to OnX maps for being such a great supporter of the podcast. These guys are crushing it in the map department. The New app is a game changer with tons of layers to interchange and even more on the way. I seriously don’t think I will use a GPS anymore. Why pack the extra weight when my phone is now a camera, a GPS, and sat phone. 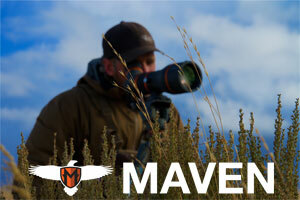 Mark waypoints send them to your buddies all kinds of cool features Use the TRO code and get 20% off your membership. Go support the company that makes the podcast possible. Go get both your OnX and your goHUNT memberships. Thanks, guys enjoy this episode with The Experience. Oh and go subscribe to their YouTube Channel. Hey everybody, welcome to the show. Last week while at Sheep show, I was lucky enough to run into Mr. Adam Weatherby and in the midst of all the chaos, we were able to sit down and bust out an episode for you guys. For those of you who may not know who Adam is personally, I’m sure you’re all familiar with the family business, Weatherby Firearms. Adam shared with me some of the histories of the company, talking about what lead to his grandfather to start the company. Adam also shares some new and exciting news with us, which you’ll all have heard of by now, and I think we can all agree that it is very exciting news for the company as a whole. 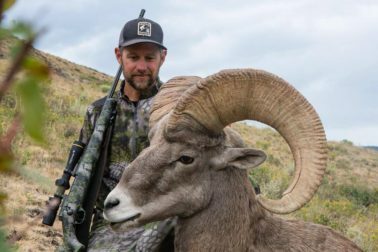 Being that we were at Sheep show, of course, we talked a bit about Adam’s two sheep hunts so far, including his Oregon desert sheep hunt that he drew as a non-resident last year. I hope you all enjoy this episode, thanks for tuning in! This episode is brought to you by On X Hunt. I recently harvested a great bull in Montana and I owe a huge part of that to my OnX. This was an area that I had hunted years ago but because of On X Hunt, I was actually able to find a new access point to get into the area from a new way and save myself a lot of miles. For that hunt, I actually spent a ton of time on my laptop scouting areas and marking locations which is super cool because then when I get out in the field all of those points of interest I marked on my computer are now right there on my phone. It all worked out really well and I ended up finding a really cool bull and was lucky enough to harvest him. Another really cool new feature of the OnX hunt app is that after I shot the bull I was able to share that location with my buddy Butch who was coming in to help me pack out. which made it super convenient for him to know exactly where to find me. On X Hunt is hands down my best hunting tool I have for under $100 dollars and highly recommend getting it. Check it out and use The Rich Outdoors promo code TRO to save %20 off your membership. On X Hunt know where you stand. This week I’m joined by my good friends Mike and Angela Haralson for a great dinner conversation with my girlfriend and I. Mike and Angela have been good friends of mine for quite some time and I got the idea to do this podcast when Mike and I were chatting about planning for big future hunts. Personally, I want to start truly thinking about how to go on a sheep hunt and what better person to chat with then a die hard hunter and financial planner. Mike is a financial planner by profession and just overall very smart with money, yet he and Angela do a ton of cool hunts every year. This episode is not your average tips and tricks but truly a great conversation that I think many should listen in to and take notes. There is some awesome information in here. Big thanks to our show sponsors goHUNT.com/insider is a tool that I am using virtually every day right now trying to map out all my hunts for next year. I have been combing through Wyoming with a fine tooth comb on goHUNT as I think I am going to trying and draw some tags down there this year. We just did the podcast on Tuesday with Trail Krietzer talking about Wyoming and after I thought I knew what unit I wanted I went back to the drawing board. 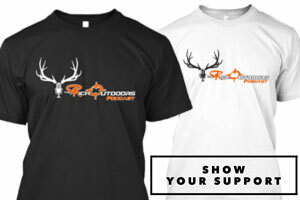 If your not a member yet go sign up and use The Rich Outdoors code TRO. Not only do you get the best research tool on the market but you help support your favorite podcast and you get $50 credit to the gear shop.